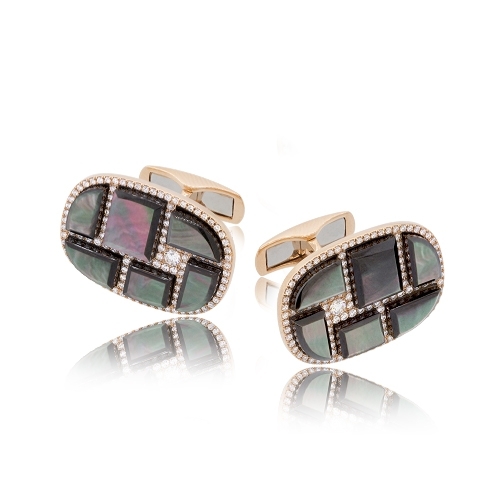 Unique cufflinks composed of square inset black mother of pearl and strategically set large & small white diamonds mounted in 18k rose gold. Diamonds approx. .75ct.